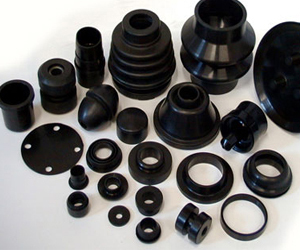 Rubber Seals Manufacturer, Rubber Seals Manufacturer in Pune. The O-ring may be used in static applications or in dynamic applications where there is relative motion between the parts and the O-ring. Dynamic examples include rotating pump shafts and hydraulic cylinder pistons. O-rings are one of the most common seals used in machine design because they are inexpensive, easy to make, reliable and have simple mounting requirements. They can seal tens of megapascals (thousands of psi) of pressure.